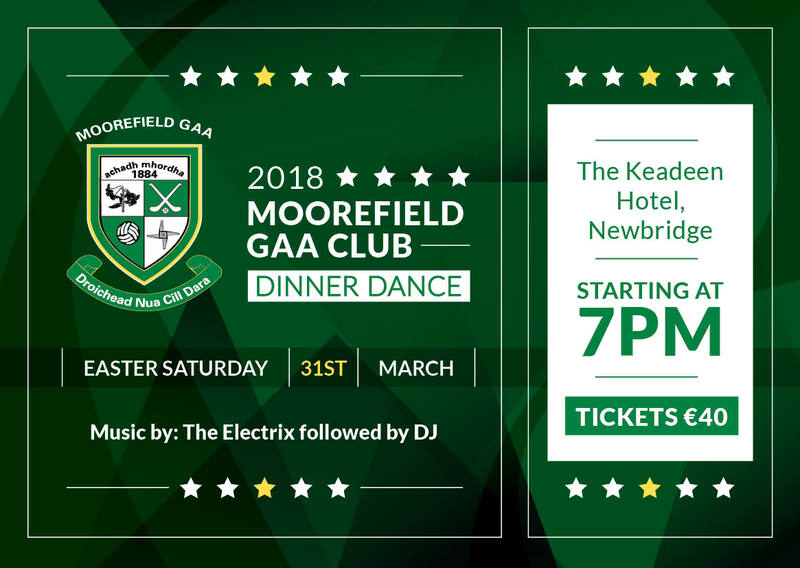 Join us for a great night of celebrations at our Dinner Dance on Easter Saturday 31st March at the Keadeen Hotel. 2017 was a year to remember for the club & we are going to celebrate it in style. 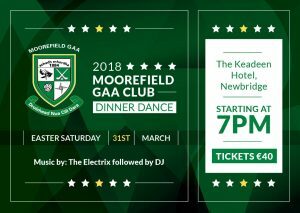 On the night, the Senior Football team will be presented with their Leinster Club Championship, Kildare Senior Championship & Leinster Leader Cup Div.1 League medals. The Ladies Football team will be presented with their Intermediate Championship & Div. 2 League medals. The player of the year & individual club awards will also be presented on the night.